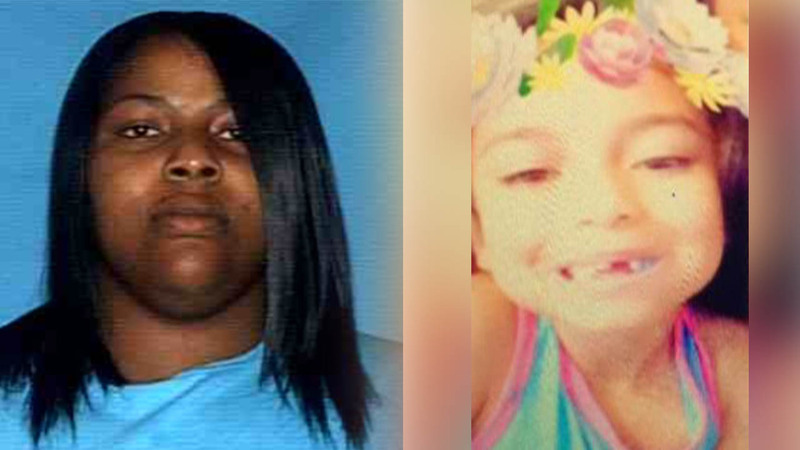 YOAKUM, TX (KTRK) -- An Amber Alert has been discontinued after a 6-year-old girl went missing in Yoakum, TX. It's unclear why the Amber Alert ended. Aaleea Parr-Colunga went missing Thursday night around 9pm. She's 3 feet, 3 inches tall and weighs 30 pounds. She has brown eyes and brown hair. Authorities are searching for Kanika McAfee, 26. She is 170 pounds with brown eyes, black hair. She's 5 feet, 4 inches tall and may be driving a white 2016 Nissan Altima with the license plate number GTX4283. The relationship, if any, between Aaleea and McAfee is unclear.